Although renowned for the visceral power of her pipes, Aretha Franklin is and at her best has always been a vocalist capable of discreet phrasing and restraint. These latter attributes, which distinguished much of her early sides at Columbia Records and manifested on such subsequent albums over the years as Hey Now Hey (The Other Side of the Sky) and Love All The Hurt Away, are what most characterize her current LP, A Woman Falling Out of Love. Enriched with lush, elegant arrangements and Franklin’s unmistakable presence on piano, the album brims with sophistication. This is grown-folks music in more ways than one, in fact, and cuts like “How Long I've Waited” and “When Two Become One” in particular are sumptuous slowjams. “I never knew love like this before,” she croons on the former. “It’s more than sensual, more than sexual.” Franklin has not sounded this vibrant, this sultry, this consistently present on record in recent memory. 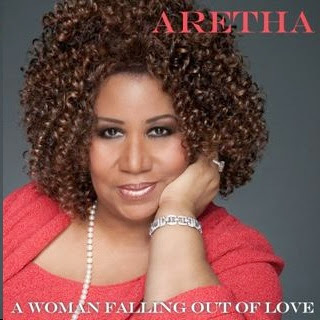 The nuances and perceptiveness of her singing are perhaps best illustrated on “The Way We Were” (featuring longtime friend and fellow music legend Ron Isley) and “A Summer Place”—just the kind of time-honored ballads that in lesser talents tend to inspire fits of melodrama and vocal histrionics—which she renders into wistful, rhapsodic performances. Yet it's on a scorching cover of “Sweet Sixteen,” in dedication to B.B. King, that she most excites; consider it as the Queen of Soul giving the King of The Blues something he can feel, and then some. Consider the same sentiment as what Franklin offers listeners in myriad ways throughout this most-gratifying album.